Besides this, Google last week disclosed an unpatched vulnerability in Windows Graphics Device Interface (GDI) library, which affects Microsoft's Windows operating systems ranging from Windows Vista Service Pack 2 to the latest Windows 10. 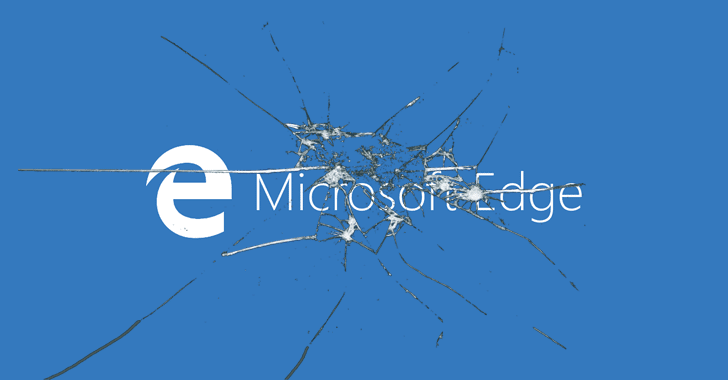 The vulnerability (CVE-2017-0037), discovered and disclosed by Google Project Zero team's researcher Ivan Fratric, is a so-called "type confusion flaw" in a module in Microsoft Edge and Internet Explorer that potentially leads to arbitrary code execution. You can know more details about the recently disclosed flaw on Google's bug report blog, along with proof-of-concept code that causes a crash of the browsers, though sophisticated hackers can build more dangerous exploits as well. This vulnerability was reported to Microsoft on November 25, and it went public on February 25, after Google Project Zero's 90-day disclosure policy. While Microsoft has delayed this month's Patch Tuesday and already has to patch two already disclosed, but unpatched vulnerabilities, it is hard to say if the company actually included a patch for this vulnerability discovered by Google in its next roll out of patches. The other one is the vulnerability disclosed by Google last week that affects Microsoft's Windows operating systems ranging from Windows Vista Service Pack 2 to the latest Windows 10.